“The European Union expresses regret over the decision to cancel Serbian President Aleksandar Vucic’s visit to the village of Banje,“ the Head of the EU Delegation to Serbia Sem Fabrizi told FoNet, noting that the Union had asked law enforcement agencies to ensure the safety of movement for Vucic. Asked to comment on the state of play in Kosovo*, he confirmed that all roads leading to Banje were blocked ahead of Vucic’s visit. “Until then, the visit took place in a calm atmosphere, with support from all relevant authorities,” Fabrizi said. 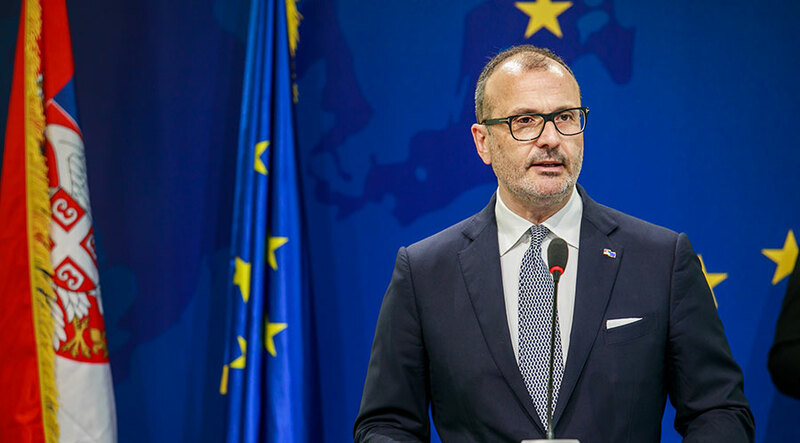 We need full commitment to maintaining peace and security for citizens of both Kosovo and Serbia, and we need to see wisdom and restrain, he said.